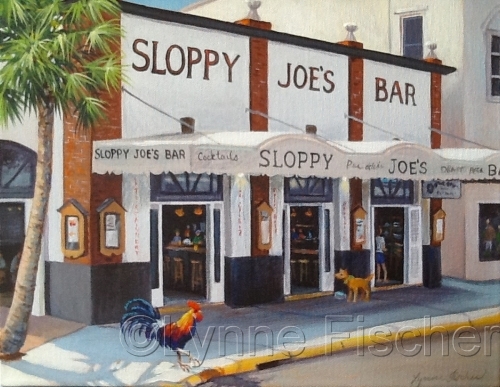 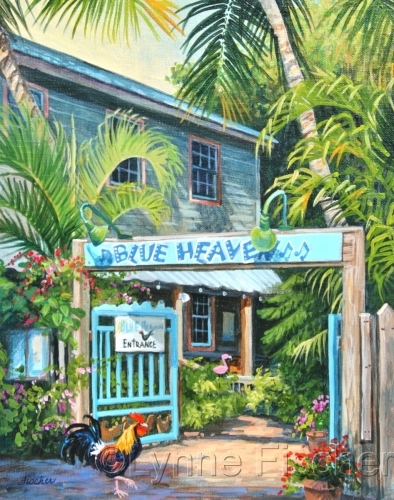 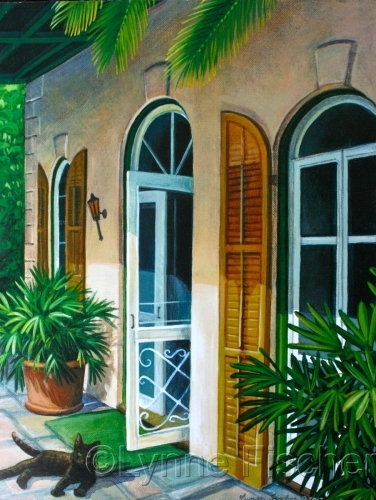 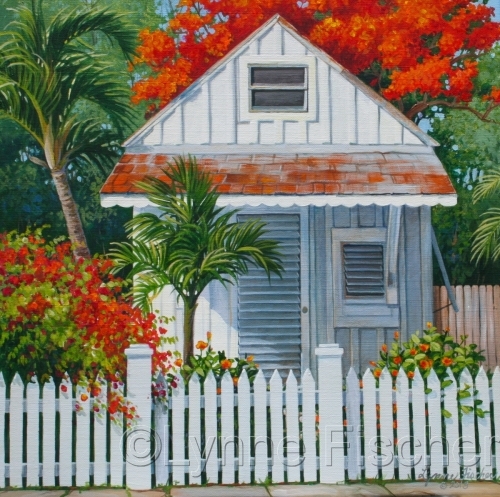 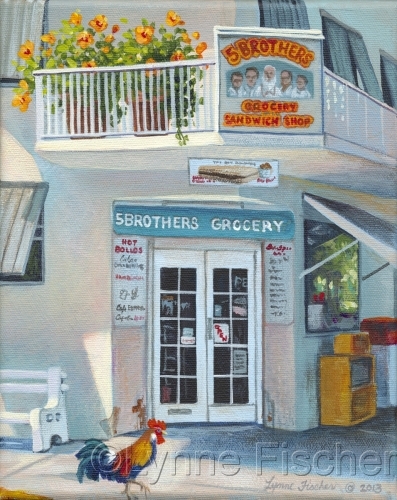 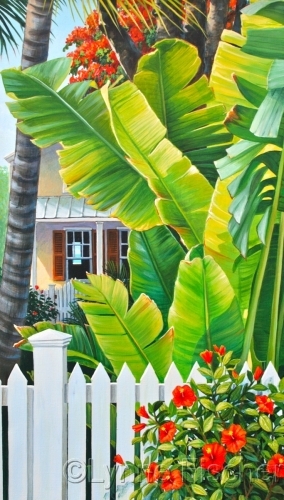 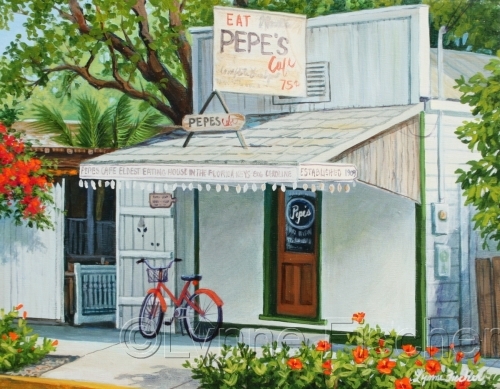 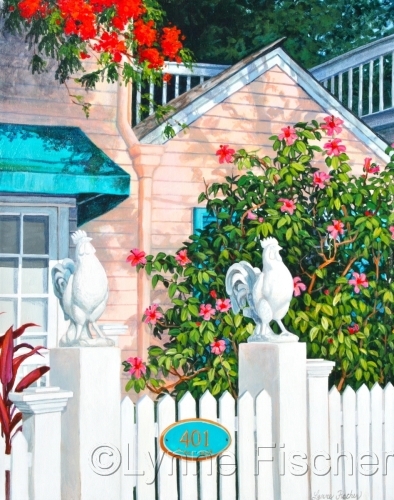 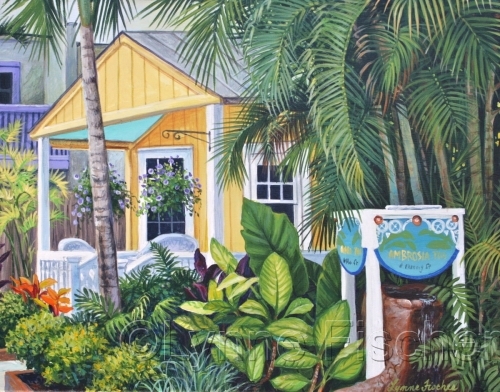 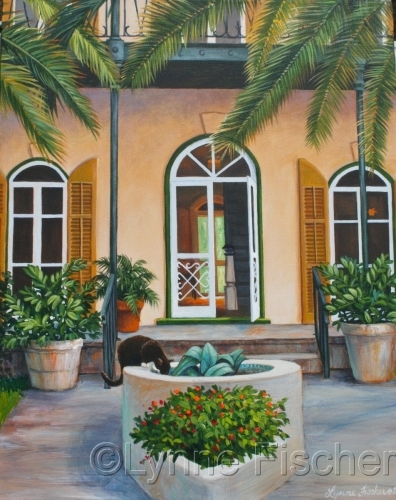 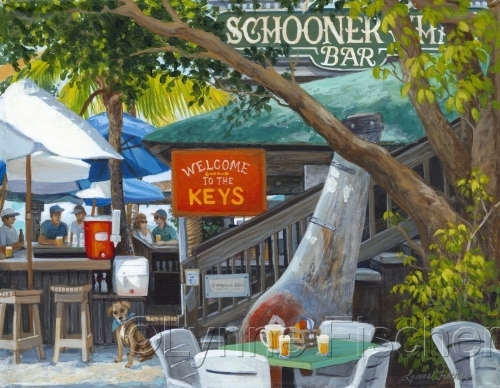 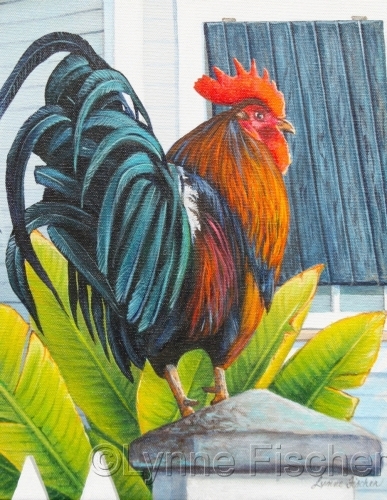 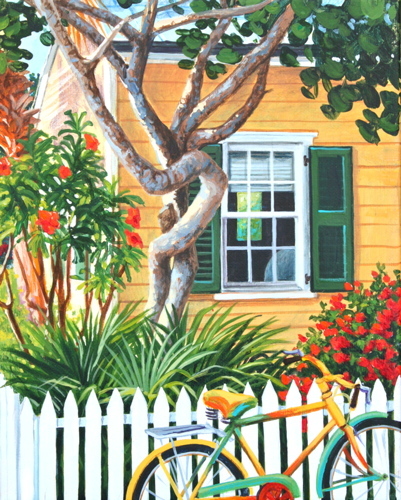 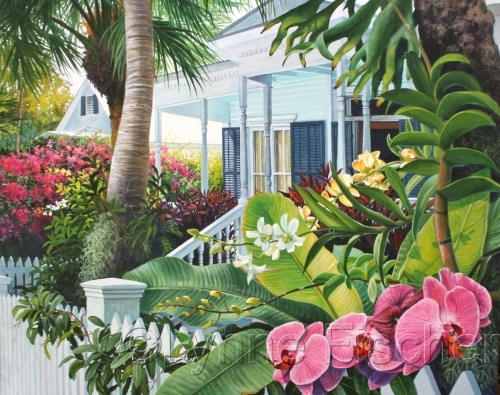 Acrylic painting of a 6 toed Hemingway Cat in Ernest's garden in Key West. 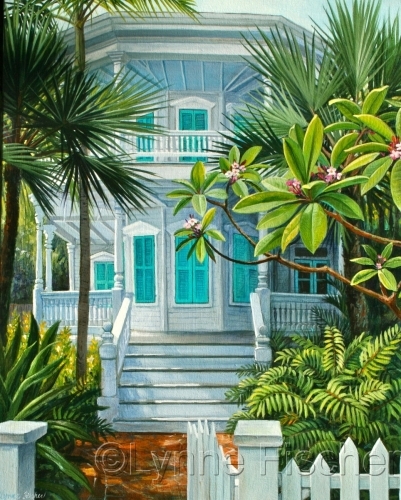 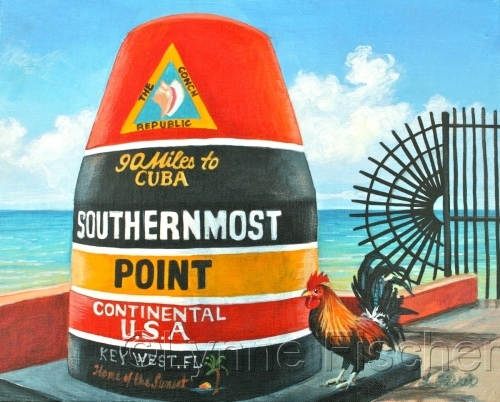 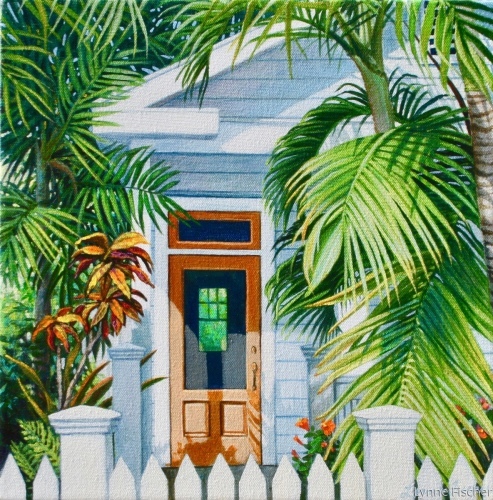 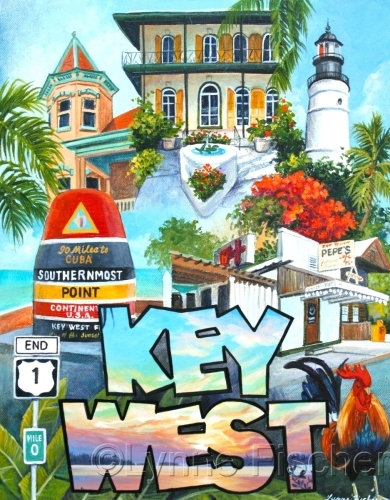 Ernest Hemingway's home in Key West Florida. 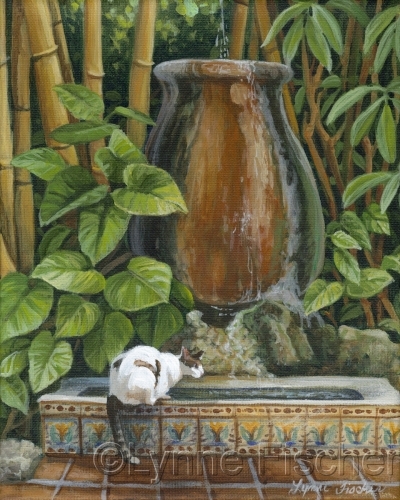 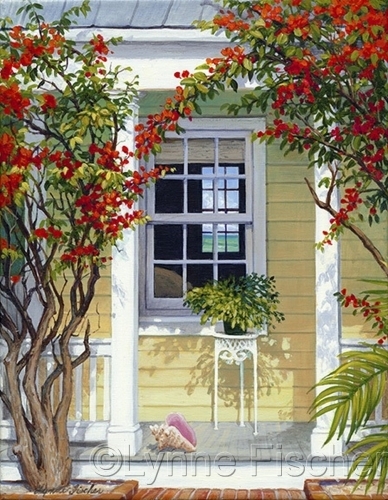 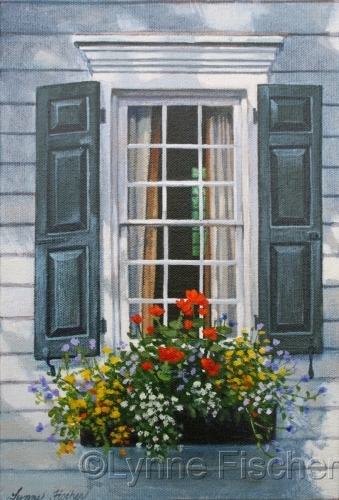 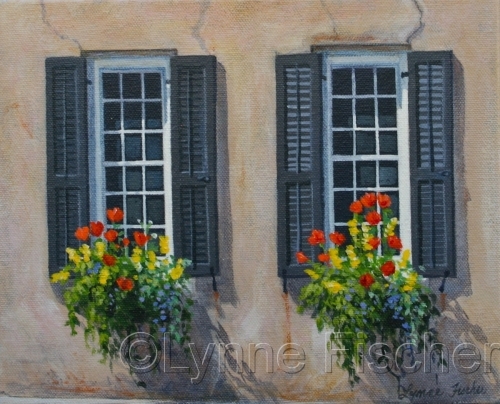 The acrylic painting has a view through the house to the garden with one of the 6 toed cats having a cool drink in the fountain.